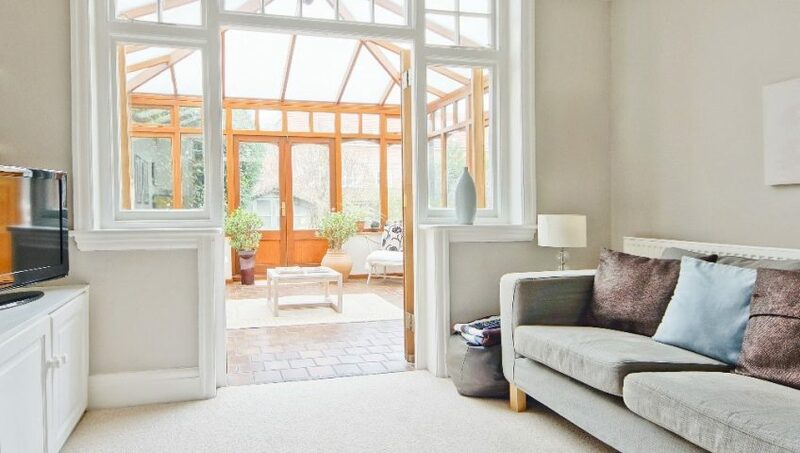 Has your conservatory been neglected for a while? If your dreams of bringing extra light and space into your home have dwindled since you first invested in your extension, then fear not, there are lots of ways to breathe new life into your home and update your conservatory. Don’t use your conservatory as a storage room or as an overflow section of your house. In order to brighten up the space in your home, you need to create space. The new year is a great excuse to clear out unwanted or unused belongings and give your home the fresh start it needs. Avoid filling bookshelves and windowsills with too many belongings and create additional storage to avoid clutter build-up. Is your conservatory unusable in the winter and a greenhouse in the summer? Controlling the temperature in your conservatory will make it a true extension of your home – and you don’t have double your heating bill to do so. Older conservatories don’t always have the benefit of coated glass in their windows, meaning they’re not as efficient when it comes to maintaining a reasonable temperature in extreme weather. Not only will replacing your windows make the space more liveable but they’ll also reduce your energy bills – find out more here. Another solution to temperature issues is to update your conservatory roof. Refurbishing your existing roof with newer, technologically-advanced tiling can help to regulate the temperature, creating a more comfortable space in your home. This kind of roofing system can be installed in as little as three days, resulting in less stress and disruption to your household. There are a number of ways to create more natural light in your home and take advantage of the light you do have. For example, once you’ve decluttered, take down any dark wall hangings or curtains that make the room feel more enclosed. Using lighter, calmer tones and painting any wall space in a neutral colour palette will make the room feel more open and spacious. Other interior design tricks, such as adding mirrors and opting for high-shine flooring and furnishings, will reflect light instead absorbing it. If you’re looking for a big impact in your conservatory or living space, try a bi-folding door and really brighten the room. Wall-to-wall glass will bring in enough light to boost anybody’s mood and allows you to appreciate your garden all year round. What could be better than a room with a view? 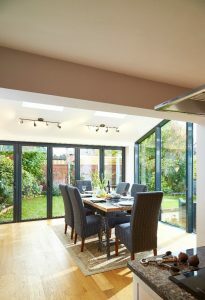 Bi-folding doors create a beautiful indoor/outdoor experience during the summer and will update the look of your home as well as your conservatory. If you don’t have a conservatory, but would like to add a bright, seamless extension to your home, Target Windows can make sure you do it right first time. Get in touch with us for a free, no-obligation quote.